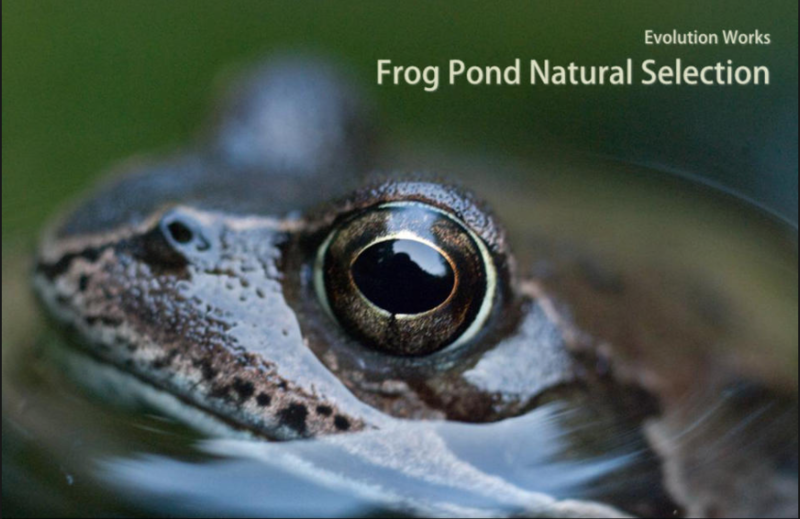 The goal of this project is to help students learn complex systems concepts that cut across multiple scientific disciplines in order to provide students with organizing frameworks for science learning. We achieve this goal by combining Next Generation Science Standard (NGSS) style inquiry process with NetLogo simulation of honeybees' hive-finding behavior--a rich and intriguing phenomenon that embodies multiple complex systems concepts. The EACH project was founded at the Center for Connected Learning and Computer-Based Modeling at Tufts University. The center moved to Northwestern University in 2000. Our goal is to explore complexity in evolution through multi-agent modeling (aka agent-based modeling). Our focus is the Evolution of Altruistic and Cooperative Behavior. EACH is an acronym for Evolution of Altruistic and Cooperative Habits. The EACH project is a curricular initiative under the auspices of two National Science Foundation Projects: Making Sense of Complex Phenomena through Building Object-Based Parallel Models and Participatory Simulations. 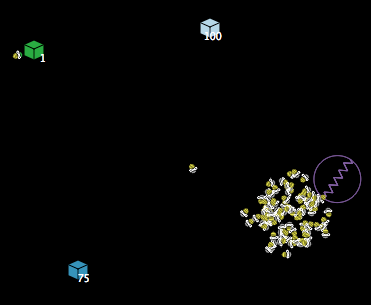 Explore evolution concepts with this simulation of natural selection. Write simple blocks-based computer programs to control brightly colored frogs in a lily pond habitat. The ModelSim project approaches its four core curriculum areas (Evolution, Population Biology, Electricity, and the Particulate Nature of Matter) with a distinctive and unified approach: in each of these subject areas, we encourage students to conceive of fundamental real-world phenomena in new ways. And in each case, we provide learning environments for exercising this new way of thinking, which build on students’ intuitions to develop powerful and grounded understandings. 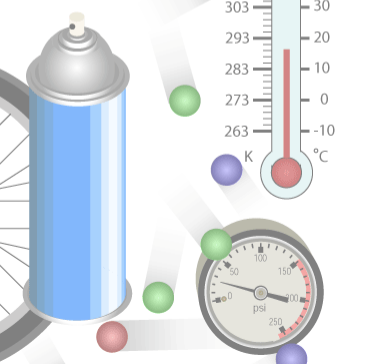 The GasLab project was designed to help students visualize and explore the physical behavior of an ideal gas and relate the idealized microscopic molecular rules to the measurable observable quantities that emerge. 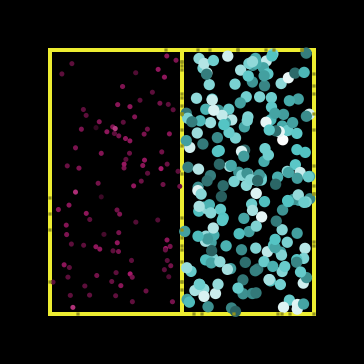 This set of models simulates the behavior of gas molecules in a closed container under various conditions. It was one of the original Connected Mathematics StarLogoT models (under the name GPCEE) and is now ported to StarLogoT as part of the Connected Mathematics "Making Sense of Complex Phenomena" Modeling Project. This is a computational biology course that uses model-based-inquiry approach for learning. 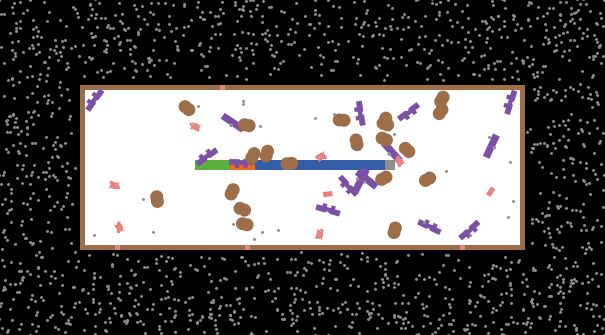 Students engineer genetic circuits using a computer simulation of a bacterial cell to develop deep understanding of cutting-edge ideas in genetics, evolution and complex systems thinking. This course fosters scientific thinking and computational thinking in the context of biological systems. 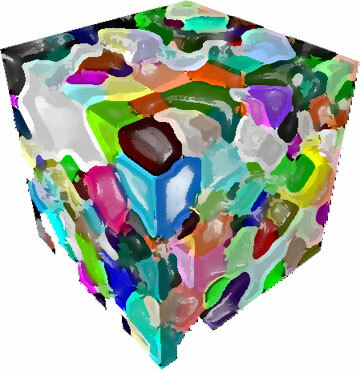 This project intends to rovide students and researchers with powerful agent-based simulation tools for a variety of phenomena in Materials Science, such as grain growth and solidification. Most commercial simulation packages in Engineering “black-box” their mathematical and physical models. MaterialSim is an attempt to address this issue, with "glass-box" models for crystallization, solidification, metallic grain growth and annealing. In addition, our research has suggested that the agent-based perspective may foster deeper understanding of the relevant scientific phenomena. A core feature of this design is that students, after understanding the very basic principles of the models, were able to apply that small number of rules to capture fundamental causality structures underlying behaviors in a range of apparently disparate phenomena within a domain. In the Modeling Across the Curriculum project, we enable students' exploration of computer models that are embedded in a supporting script. The Connected Chemistry learning environment is one such model-based curricular unit. Connected Chemistry employs multi-agent NetLogo models to empower the students' manipulation and observation of chemical entities at the molecular level as well as the resulting aggregate patterns. These models are embedded in Pedagogica scripts that guide the model exploration as well as asking students' questions about their exploration and findings. NIELS is a curricular unit consisting of a sequence of simulations authored in the NetLogo modelling environment. Most students find electricity a particularly hard topic to learn, whereas, most of them find electrostatics is relatively much easier. Learning Scientists suggest that this is due to the fact that we do not have access to electrical phenomena at a microscopic level - i.e., at the level of atoms and electrons. NIELS is designed to address this issue. 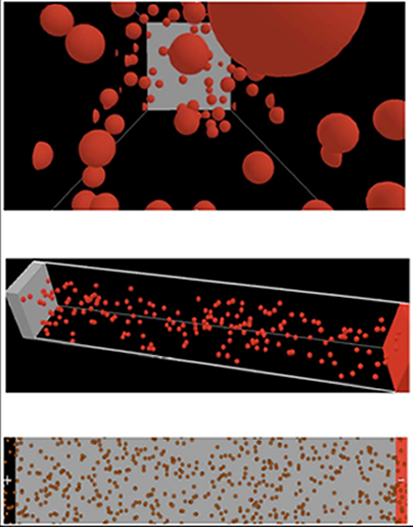 Models in NIELS depict phenomena aggregate-level phenomena such as current, voltage and resistance as emergent - i.e., they arise due to simple interactions between many individual-level "objects" such as atoms and electrons. 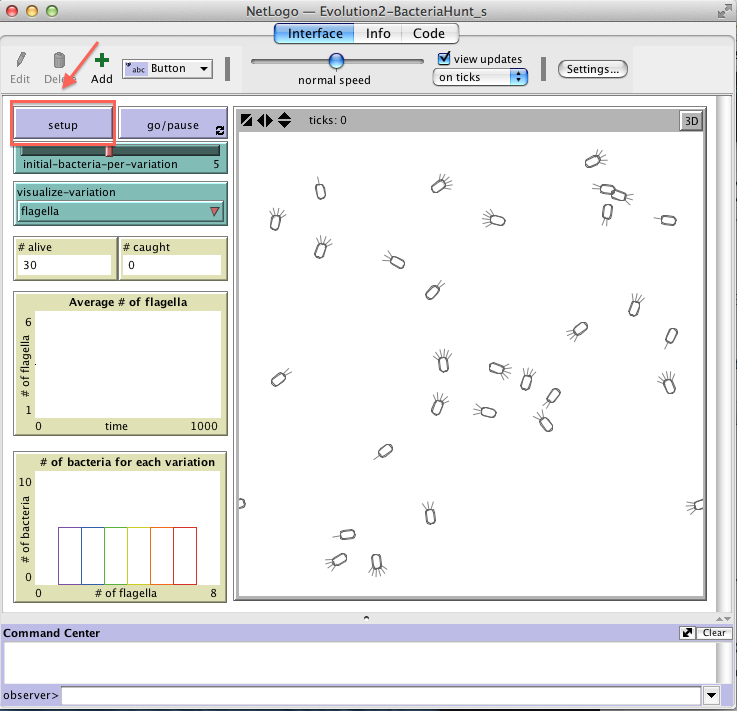 Using these models, students as young as 5-th graders can actively explore and modify with the relevant phenomena by interacting with the models at various levels - e.g., running glass-box experiments by changing values of variables on the GUI and observing the resultant phenomena, and/or, by modifying and extending the underlying Netlogo program. No prior knowledge in electricity or programming in required. ProbLab is a computer-based middle-school curricular unit in probability and statistics designed to enrich student thinking in the domain. 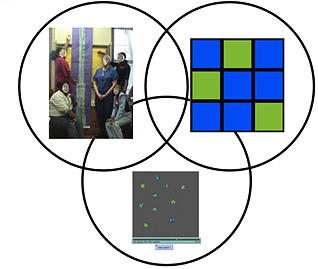 The ProbLab unit is part of the Connected Probability project and includes a suite of interactive models authored in the NetLogo modeling-and-simulation environment and using the HubNet Participatory Simulation technological infrastructure. ProbLab will also soon include related curricular material, such as student worksheets and teacher guides. ProbLab is designed and developed at the Center for Connected Learning and Computer-Based Modeling at Northwestern University and is researched in middle schools in ChicagoLand. We gratefully acknowledge the support of the National Science Foundation. 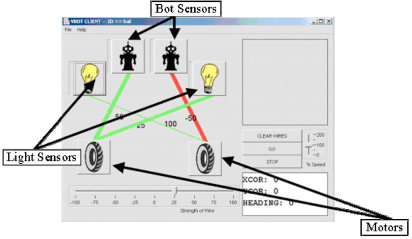 The VBOT system is a set of "Virtual roBOTics" activities based in the NetLogo and HubNet architectures. The system and activities are designed for use by students in middle school or early high school. Using VBOT, each student programs his or her own virtual robot that interacts with other virtual robots in a shared environment. Considerable work has been done with robotics in constructionist learning environments in the last twenty years; this project builds on those findings with new insights on the role of virtuality and collaboration in educational robotics. The students build simple circuits with which virtual robotic agents can perform certain collaborative tasks (e.g., flock together near a virtual light source).